Goodridge G-Stop High Performance Front and Rear Brake Line Kit is constructed from the finest quality hose, consisting of a PTFE inner hose covered by braided stainless steel. 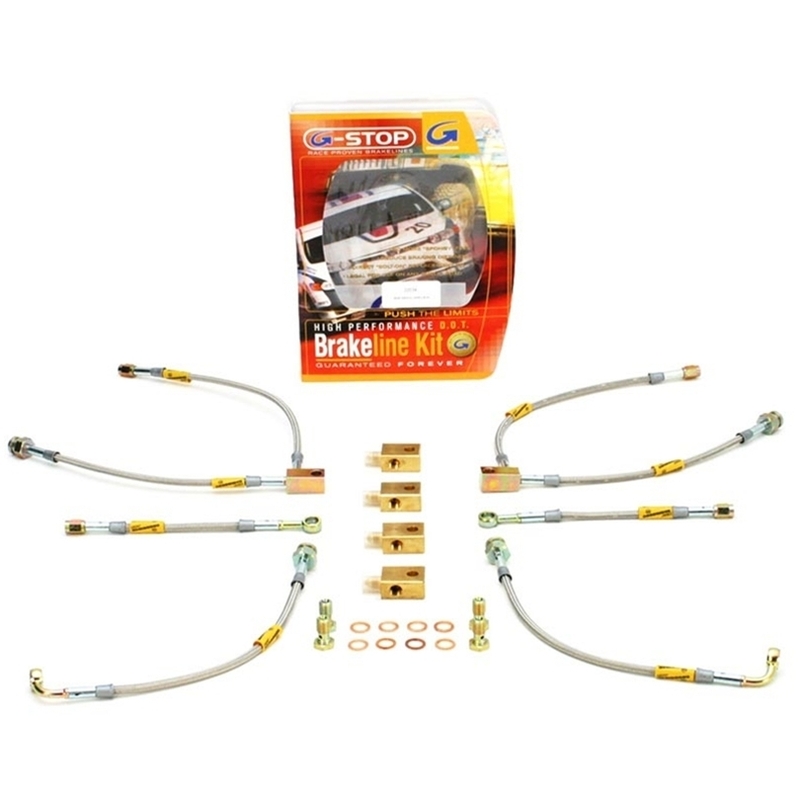 This combination provides a more responsive and firm brake pedal by eliminating the “spongy” feel that often accompanies stock rubber brake lines. Goodridge Stainless Steel High Performance brake lines are abrasion and corrosion resistant to stay good looking for a long time to come.